Most people would go with a bottle of wine, and if you know the host well and their wine preferences, that is fine. 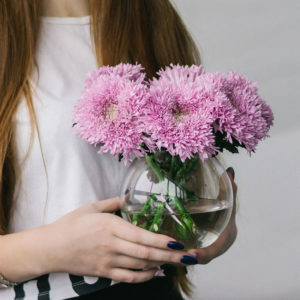 If you do not know the host, it is appropriate to bring flowers, but make sure they are in a vase, so the host doesn’t have to scramble to find one while greeting their guests. You could also send flowers ahead of time, or the next day as a thank you gesture.